The Land aka Amber Fox: What can you do . . .
. . . on a rainy day at Amber Fox? 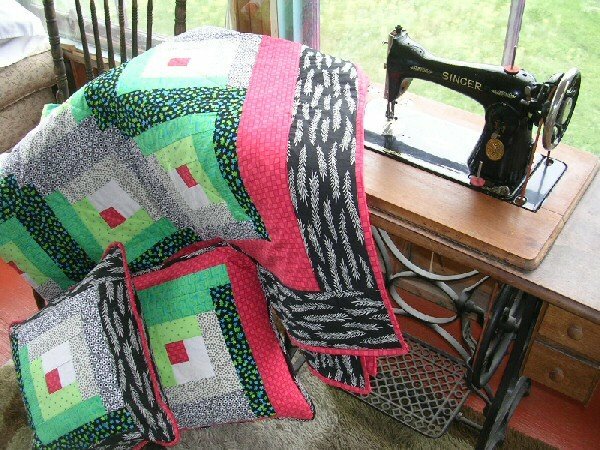 Sit on the sun porch and work on your quilt. 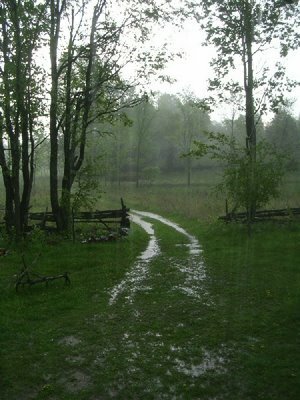 . .
Is it a sun porch if its raining? My Granny would be very proud of this quilter!